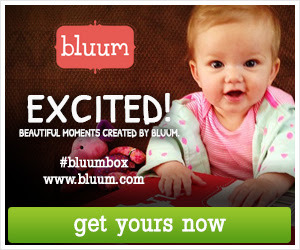 Bluum delivers monthly boxes containing five full-size, top-rated products curated just for you and your little one (from pregnancy to pre-k). It’s like having your own personal shopper deliver products you’ll adore, right to your front door! Bluum has a team of expert M.O.M.’s (managers of merchandising) who spend their days trying new products, meeting and getting to know brands. It’s their mission to evaluate whether a brand is a good fit to join the lineup of bluum’s products. Doing that, the team applies hard criteria to make sure we only send responsibly sourced, free of dangerous chemicals and in most cases organically manufactured products that are healthy for baby and mom. Bluum currently works with more than 350 brands and over 1,000 different products. Preview the Bluum lander here. Get paid 12% of sales for each sale made through your affiliate links.